Our empty gelatin capsules offer an economical and convenient way to take strong tasting vitamin or herb powders. Empty capsules allow you to fill your own powders at desired potencies and avoid tablet binders and fillers. Buying powdered vitamins and filling your own capsules can save up to 50% off most retails prices. Our “00” gelatin capsules can hold between 700-900 mg of most vitamin powders.. 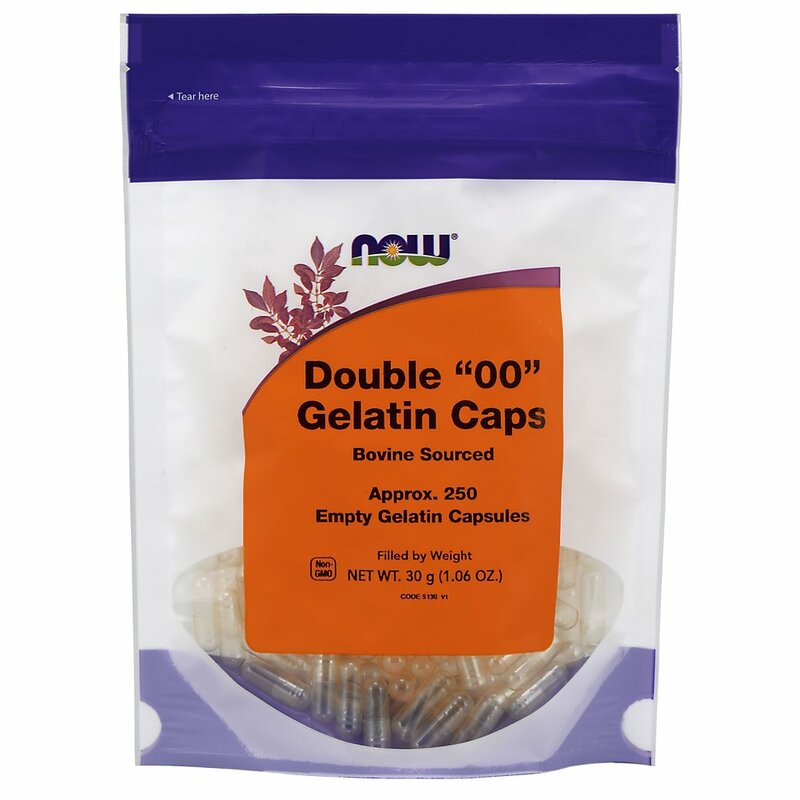 Double 00 Empty Gelatin Capsules are manufactured by NOW® Foods.